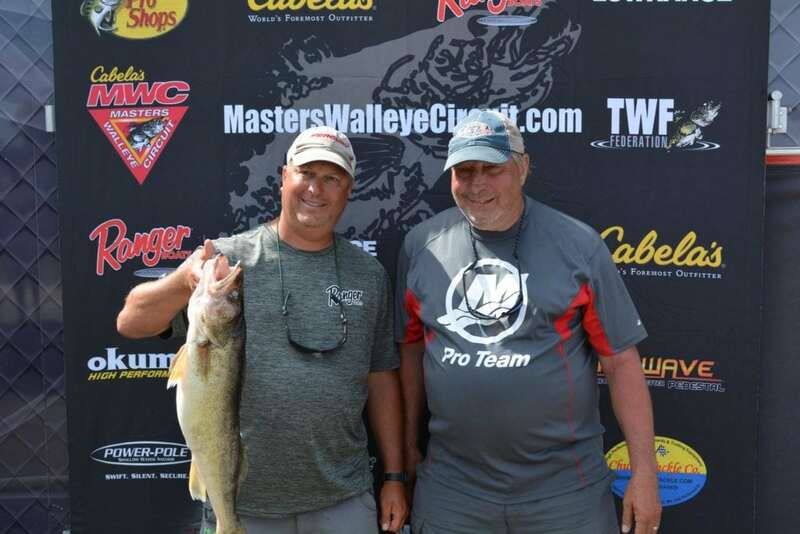 Baudette, Minn.—July 14, 2018—Hard-fishing Minnesota brothers Ken and Jon Hunt put together two solid caches to win the Cabela’s Masters Walleye Circuit’s regular season tournament on Lake of the Woods out of Baudette, Minnesota, June 13-14, 2018. Presented by Ranger Boats and headquartered at scenic Border View Lodge, the two-day event featured 74 anglers from seven states fishing in two-person teams for their share of the MWC’s lucrative payout. “There were a lot of good fishermen in this tournament, so we feel very fortunate to come out on top,” added Jon, of Elk River. “We fished spinner rigs behind bottom bouncers and crankbaits on leadcore,” added Jon. The brothers weighed in an MWC limit of four fish weighing 13 pounds, 5 ounces on day one, then added a 12-pound, 1-ounce limit on day two for a 25-pound, 6-ounce total weight. The Hunts collected $12,900 in cash and prizes for their efforts, including the $7,200 first-place cash payout, $3,000 cash from the option pot, $1,000 Ranger Cup contingency, $500 AirWave certificate, $200 Okuma Reel bonus and a $1,000 Cabela’s National Team Championship Prize Package including paid entry into the Cabela’s NTC, travel stipend, team jerseys and plaques. In 17th place, Curt Hall and John Thelen collected the $500 Lowrance Electronics contingency. In all, the Cabela’s MWC awarded $31,450 in cash and prizes. A total of 246 walleyes weighing 553 pounds, 14 ounces crossed the scale during the event. Big fish was an 11-pound, 4-ounce trophy caught by Guy Dittel and Marshal Monk. Adding to the fun, the Cabela’s MWC and National Professional Anglers Association presented a Youth & Family Fishing Clinic immediately after the day-one weigh-in, with participating youths receiving rod-and-reel combos courtesy of the NPAA. North America’s longest-running and undisputed leader in team walleye tournaments, the Cabela’s MWC has set the standard for competitive walleye fishing since 1984. Operated under the umbrella of The Walleye Federation (TWF), the Cabela’s MWC is open to avid walleye anglers from all walks of life. The 2018 tournament schedule includes eight qualifiers in seven states, plus the 2019 Cabela’s MWC World Walleye Championship. Visit masterswalleyecircuit.com for updates, official rules and registration information. Cabela’s, the World’s Foremost Outfitter for hunting, fishing and outdoor gear, is enjoying its 17th season as title sponsor of the MWC. 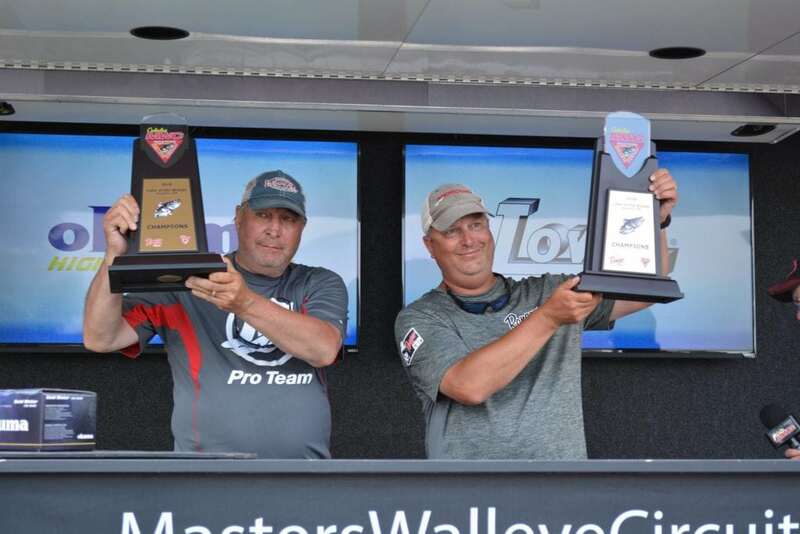 Official sponsors include: Bass Pro Shops, Lowe Equipment Attachments, Lowrance Electronics, Mercury Marine, Ranger Boats and The Walleye Federation. Associate sponsors include: AirWave Pedestals, Church Tackle, MotorGuide, Okuma, Power-Pole and T-H Marine. For more information, email info@masterswalleyecircuit.com, or call (580) 765-9031.